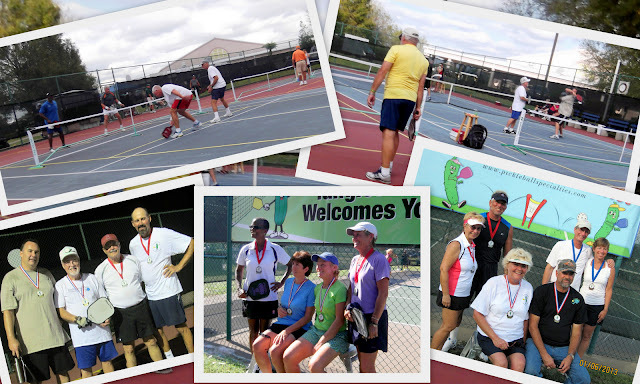 Thanks to all of you for making the first ever Tanglewood Winter Classic a weekend of fun and great pickleball!! The tournament had 136 participants and many volunteers that worked very hard to make this a success. We have attached the names of all the medal winners in the tournament. Congratulations!! A huge THANK YOU to all the referees, transport drivers, and all volunteers who worked very hard behind the scenes of the event. This tournament could not have happened without teamwork. Thanks to all the folks at the Tanglewood Community CLICK HERE for tournament medal winners. We would like to remind everyone that the deadline for the City of Fort Myers Skatium Classic is fast approaching. You may get the entry forms from our website pickleballspecialties.com or just CLICK HERE. This will be an indoor sanctioned tournament. We are also looking for referees and other volunteers for the Atlantic South Regional. We will have 16 courts and we are expecting approximately 225 players from all over the country. There will be a banner on the courts with the names of "Friends of Pickleball" for any individual, pickleball club, or any company that would like to make a $200.00 donation.If you are willing to volunteer at the tournament or become a "Friend of Pickleball," please email us as soon as possible. Thanks again to all of you for making the Tanglewood Tournament a success. We hope to see all of you in Naples at the Atlantic South Regional! !